I'm going to build them one at a time so I can incorporate what I learn as I go. In looking through the boxes (most of which I've picked up at model shows) I've found some resin seats and a few other goodies, so that's fun. I'm not planning on super detailing any of these though - not at this scale. The point of this is to enjoy building and to build something I really like. 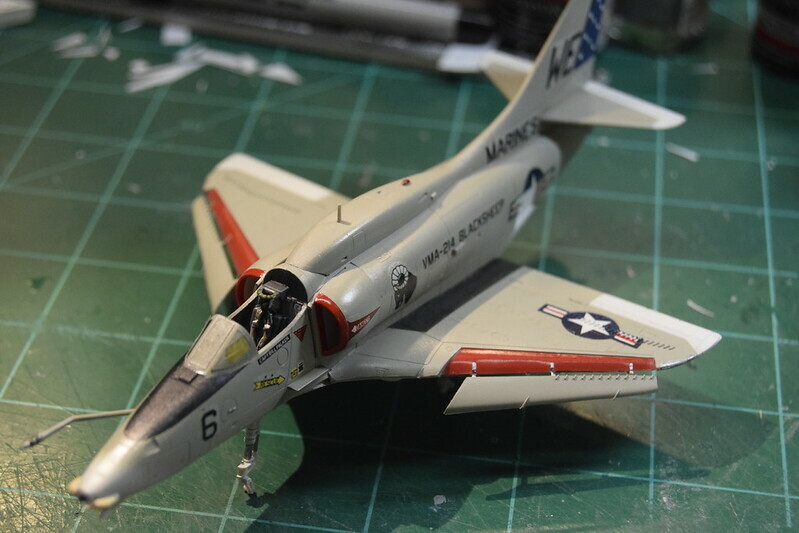 I've been doing a lot of 1:72 stuff lately. 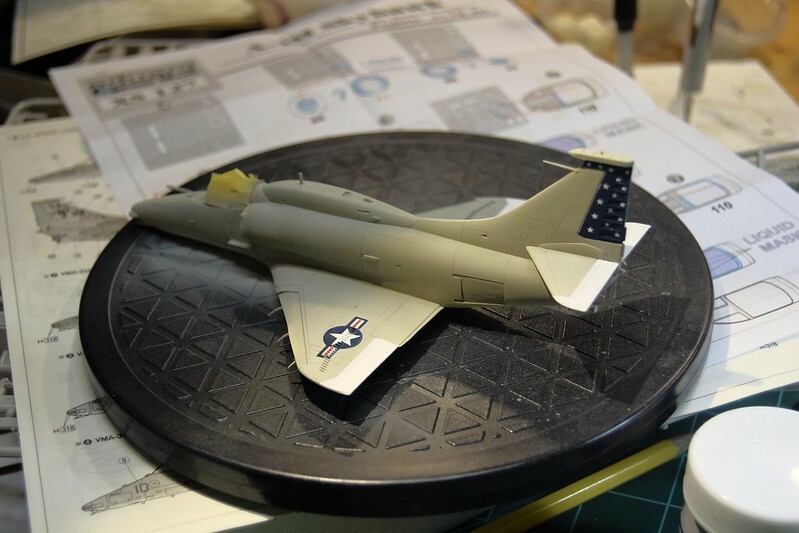 It's my favorite scale and I've heard that especially the Fujimi kits are a dream to build. Last edited by edsunder; May 3rd, 2016 at 12:26 PM. 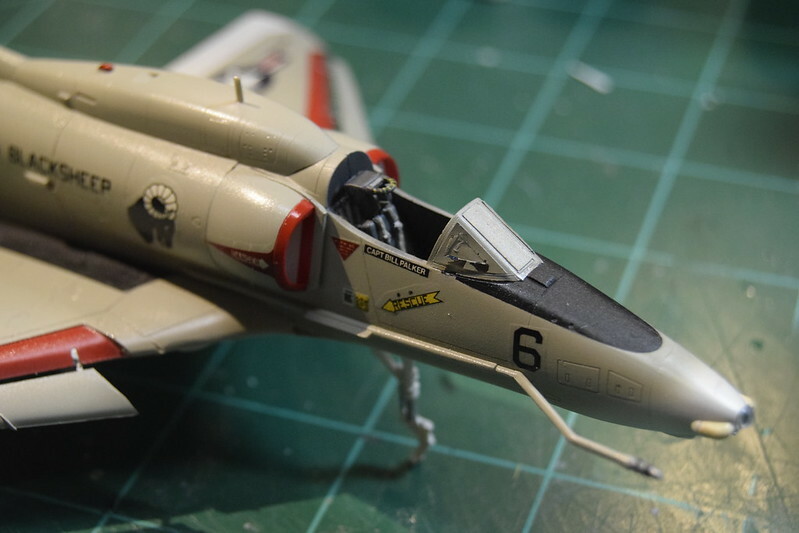 I'm starting with the Fujimi A-4M. As (just about) always, work starts in the cockpit. 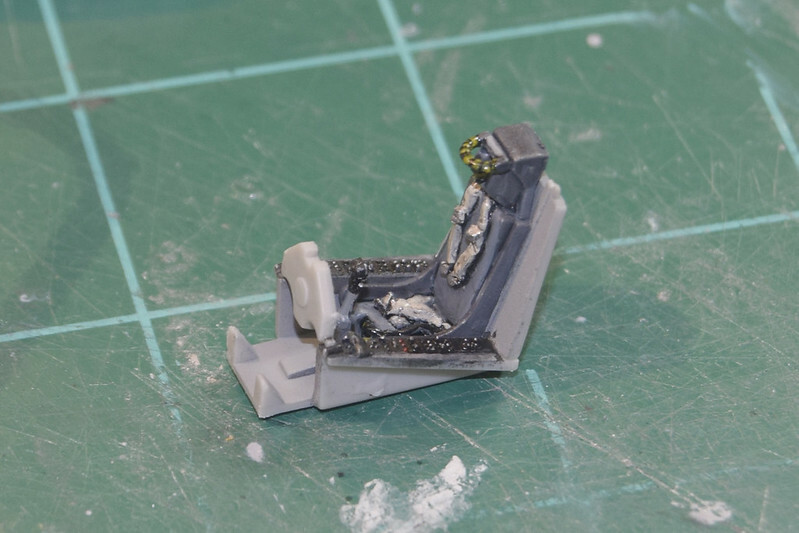 I decided to try Apoxie Sculpt to make some seat belts and hoses on the kit seat. I think it worked okay, but I think I like Milliput a bit better for really fine work. I'm going to try it again and see if it gets better. The end result looks pretty good to me though. It was just harder than I expected to get it really flattened and thinned. I need to spray some flat on it and then I'll be putting it in. Glad that your able to get some much needed bench time! Looking forward to seeing your Scooters roll off the production line!....Pit looks great! Thanks. It's nice to have more time for building. One thing I'd like some suggestions on is the loadout for this thing. I'd like to do something kind of different. 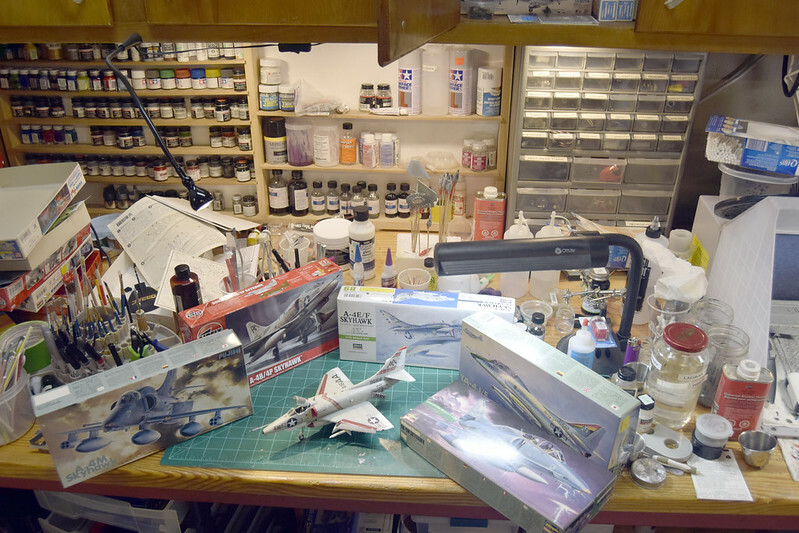 I have pretty much all of the Hasegawa weapons sets, so I've got a lot to choose from. Maybe a walleye? Maybe something even more unusual? I've got a lot of scooters to outfit here, so I can try a few different things. Give me some ideas! Thanks! That's a good choice - can you think of anything more unusual? I like strange stuff. I plan on using these with the other scooters, depending on how it comes out. 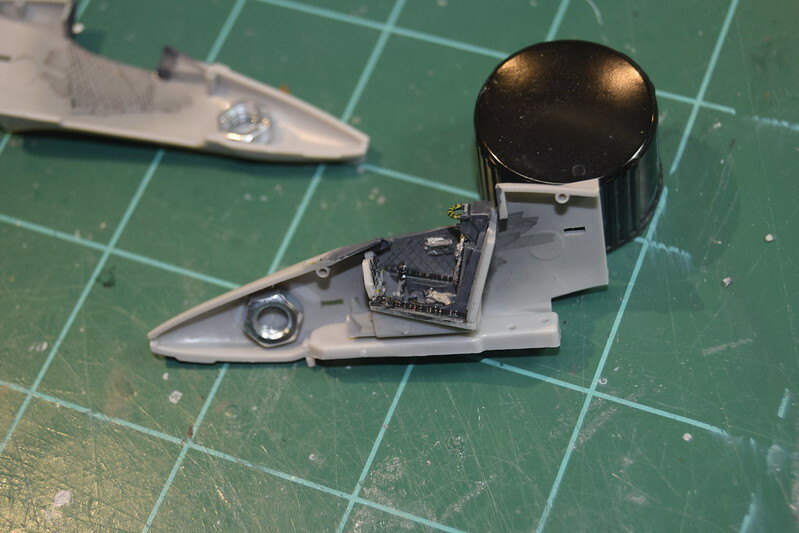 If you're not aware, the Hasegawa A-4 is about a quarter inch too long. It will be obvious displayed next to the Airfix & Fujimi kits. I know; bummer , huh? I actually hadn't compared them yet. That was one of the things I was interested in finding out-how the kits differed. I'll just sand the nose down. For the A-4M, station 1/5 5 was rated for 500 lb class weapons, station 2/4 was rated to up to 1,200 lbs and station 3 was rated for 3575 lbs. If you really want strange you can always throw on some Mk 36 Destructor Mines on it, they are basically Mk 82 Snakeyes with some added white markings. Marines rarely flew them to my knowledge. Another bomb rarely seen is the CBU-59 APAM, it's basically a Mk 20 Rockeye with an insignia blue lightning bolt on either side. I think that's what I'm looking for. Thanks! 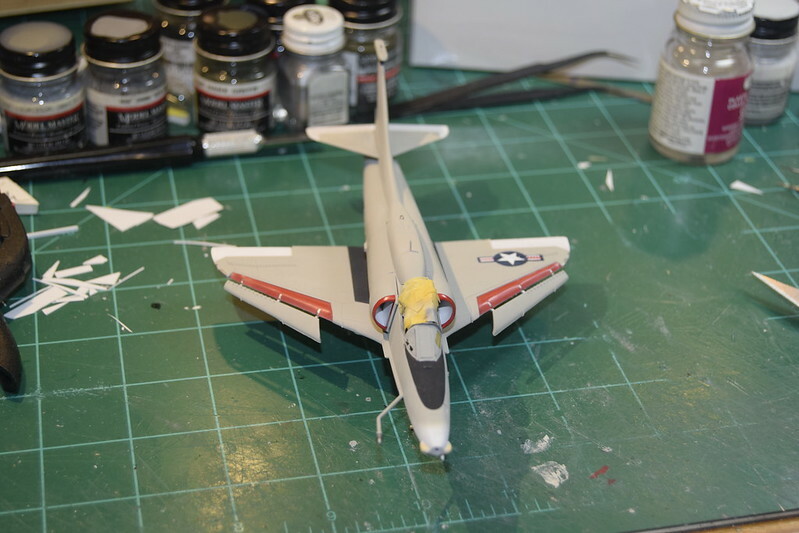 One thing that I've never really had a great way to paint is the intakes on the A-4. 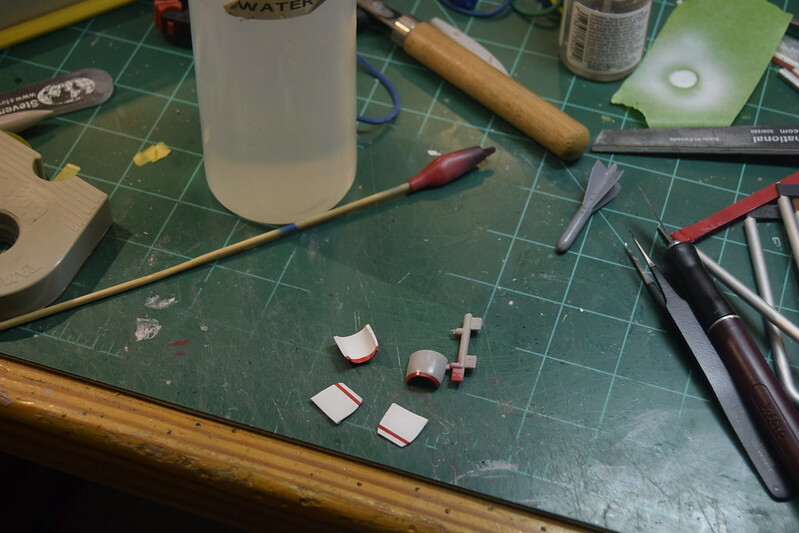 The red edge is difficult to mask and so what I decided to try is to paint the inside of the of the intakes prior to assembly. After painting them, I glued them into place, did some touch up of various things and started painting. I might have started before I should have because I had some ideas of how to use my cutter. The tails on this plane are dark blue with white stars on them. 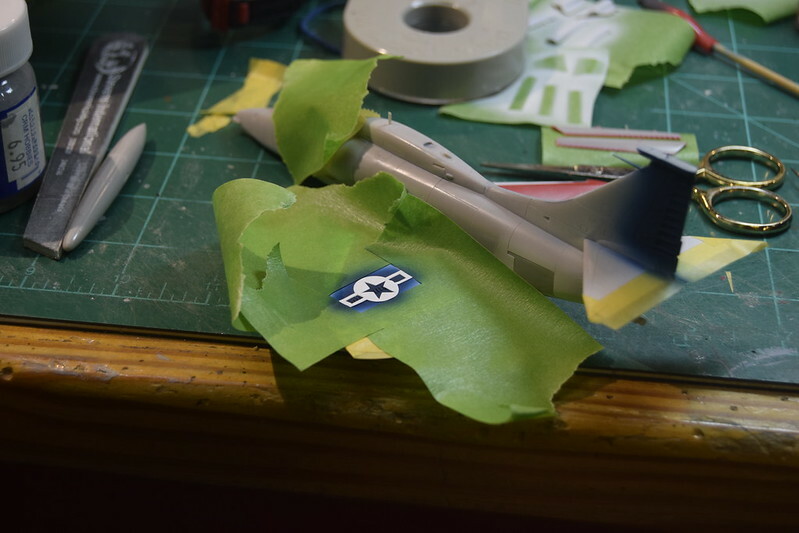 The decal sheet gives me 2 ways to do it - either with a blue decal with stars or just with the stars. I declined both options. 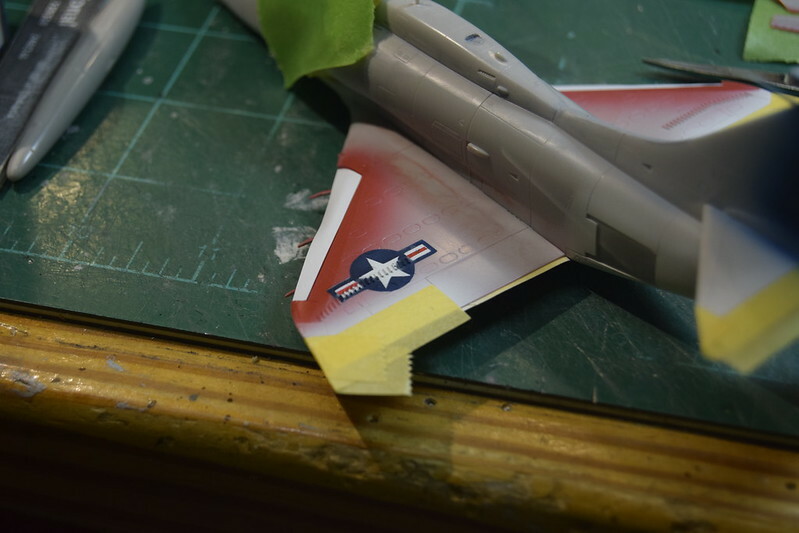 The A-4 tail has so many ins and outs that I'm not sure I could get a decal to adhere really well anyway. So I had my cutter create a bunch of stars of the correct size. 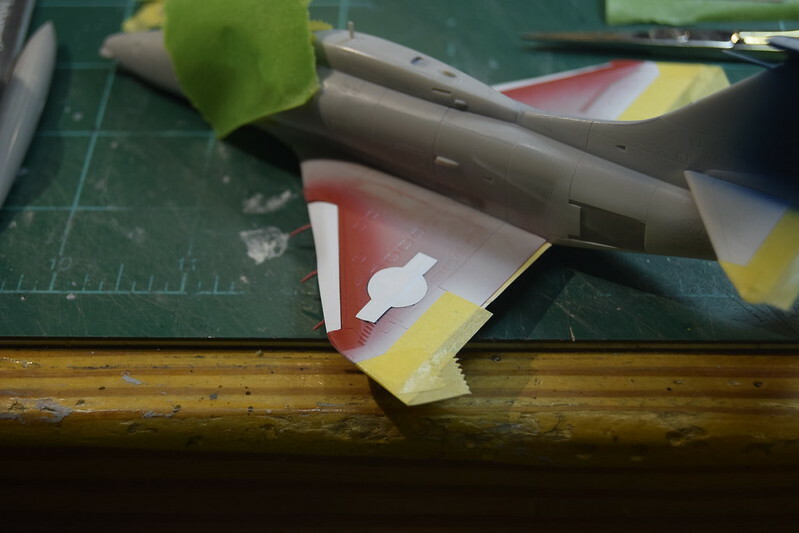 Also on the A-4's the left wing insignia is tough to get down as a decal because of the vortex generators. I decided to paint that as well. I started with white paint on the tail, then I put the star masks down. 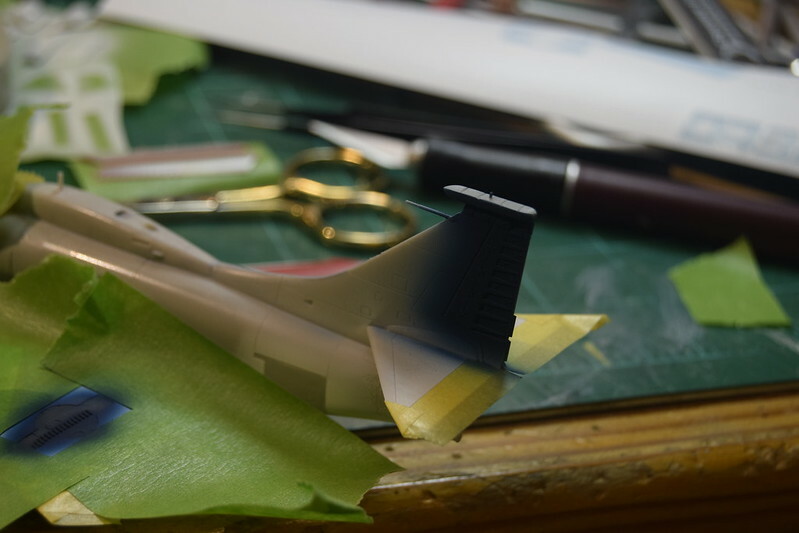 Here I've painted the tail blue along with the base of the wing insignia. I may have to touch it up a very small amount. It looks really good to me. 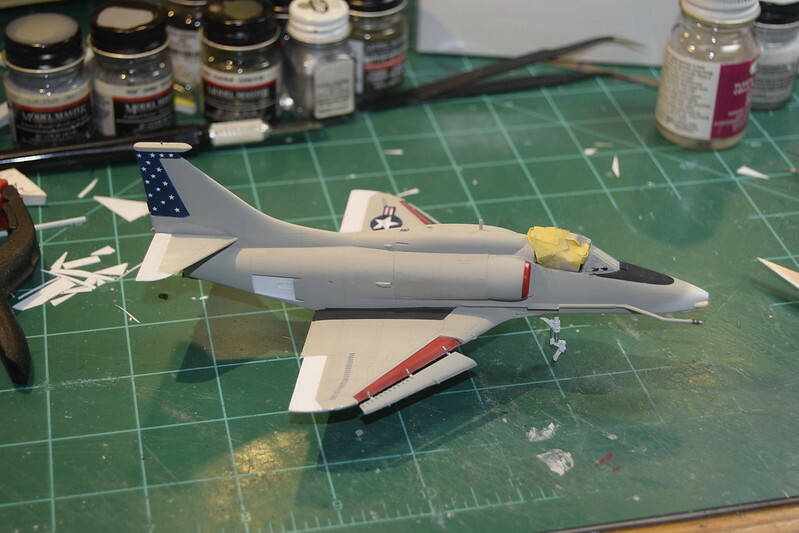 So I then masked off the insignia and the tail and put down the gull gray. 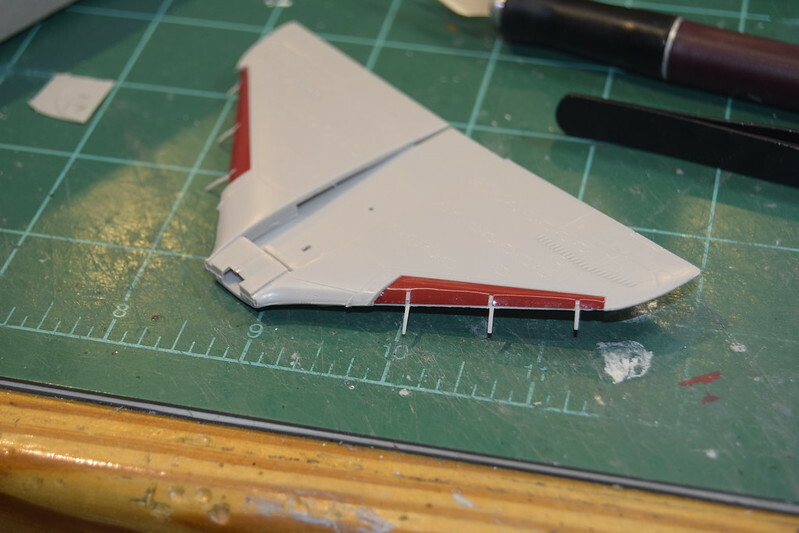 I need to touch up the front of the rudder, but overall I think it's looking really decent. The stars and the insignia almost look painted on. That's what you want, right? "almost look painted on",,,,,,,,,,good line, haha. Great job on the Insignia. And you probably saved a couple of hours of picking at a decal with a needle if you had used a decal there. I recognize that tail,,,,,,,excellent choice of unit for your A-4M. 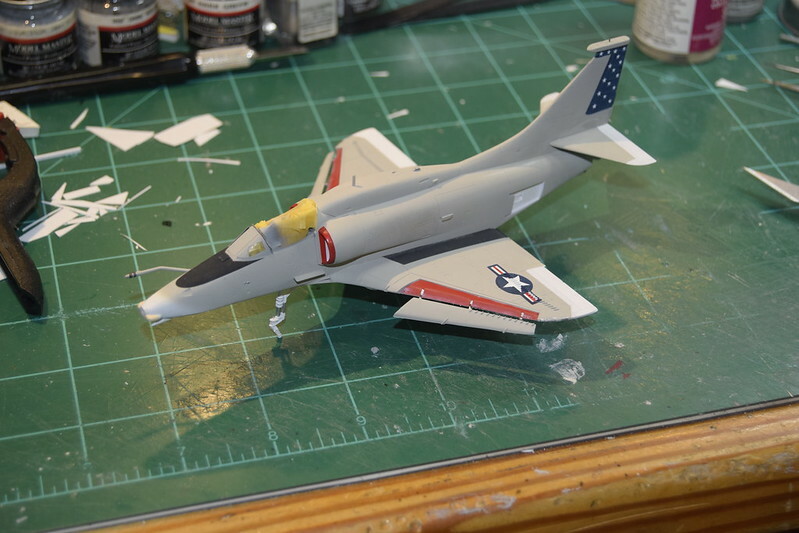 So I've done a bit more painting and am now in the process of futuring for decals, which is next. Everything you see has been painted - no decals yet. I feel like it's really coming along. I'm actually heading out to Seattle for a bit, so no updates for a while, but I'm really enjoying this and expect I'll have finished them all by nationals. Looking Great Ed! Hope to meet you in person at the Nats! Should be fun! Two of my boys are trying to finish up their own models for nationals. 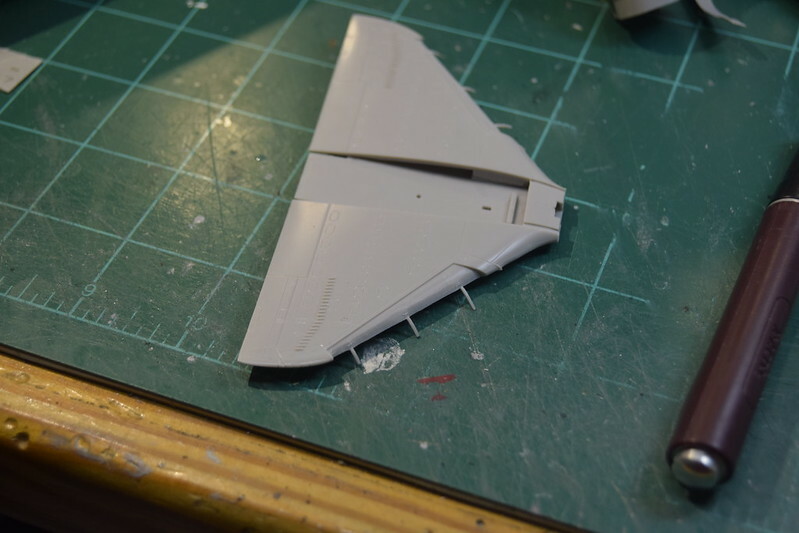 I dropped it the other day which busted off the right horizontal stabilizer and the pitot tube on the tail (which I'll be replacing with brass) and also cracking the wingtip a bit. Since it was all the way to the concrete floor, it wasn't as bad as it could have been. Anyway, I'm closing in on completing this one and starting on my other ones. I've also added the Italeri A-4M, which I picked up for $3. 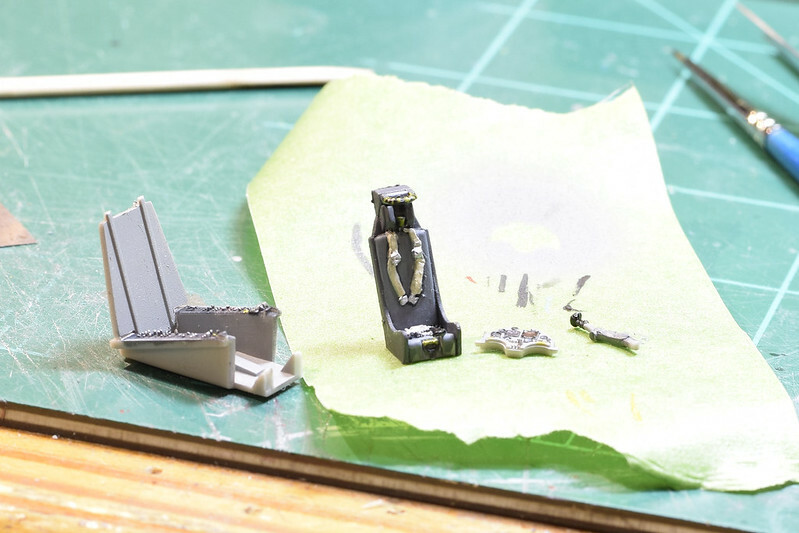 I've also just realized recently that the tailhook is missing from this model - looks like a short shot, so I'm going to have to fabricate one.... Ah well, it's nice to be building again. 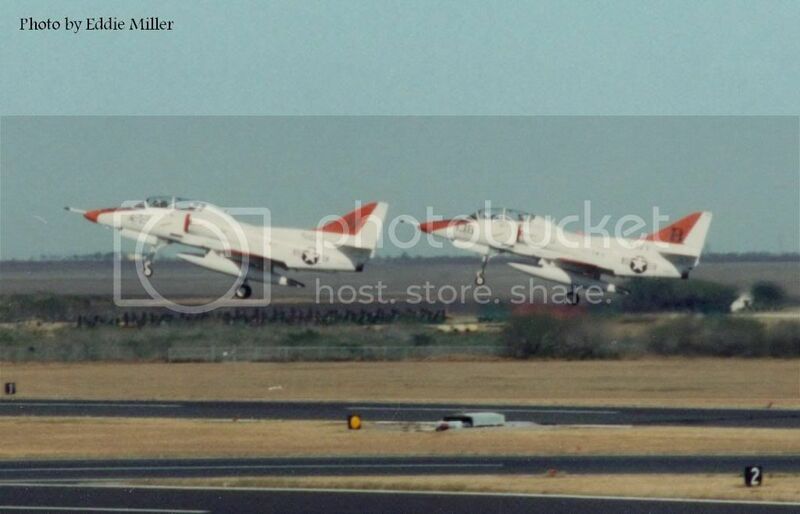 I worked with TA-4C Scooters in the fleet and down at NAS Kingsville just before they were retired. Always loved that bird..Very sleek and fast. 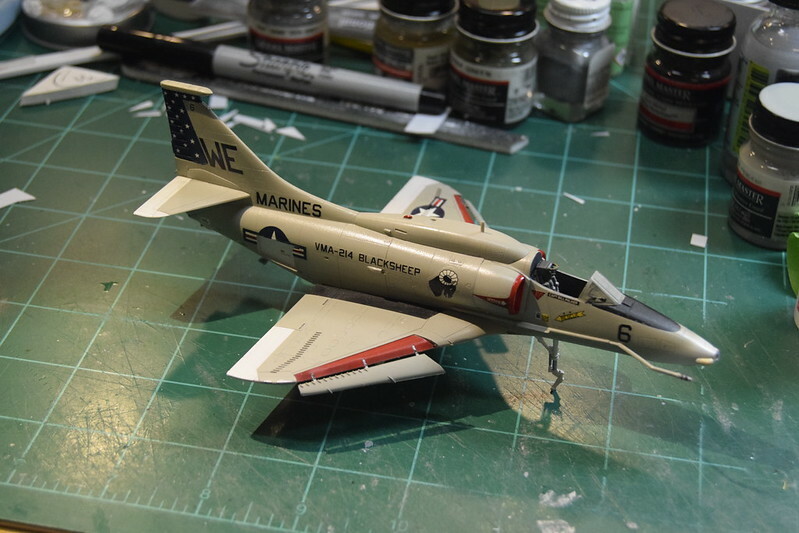 I like that paint scheme and am looking for some decals for it. Last edited by edsunder; July 13th, 2016 at 09:58 PM. "It may also be noted that the Bell 212 sound is also MORE distincly manly at -30 Degrees C"
I did indeed save them. If you pm me your email, I'd be glad to send them.